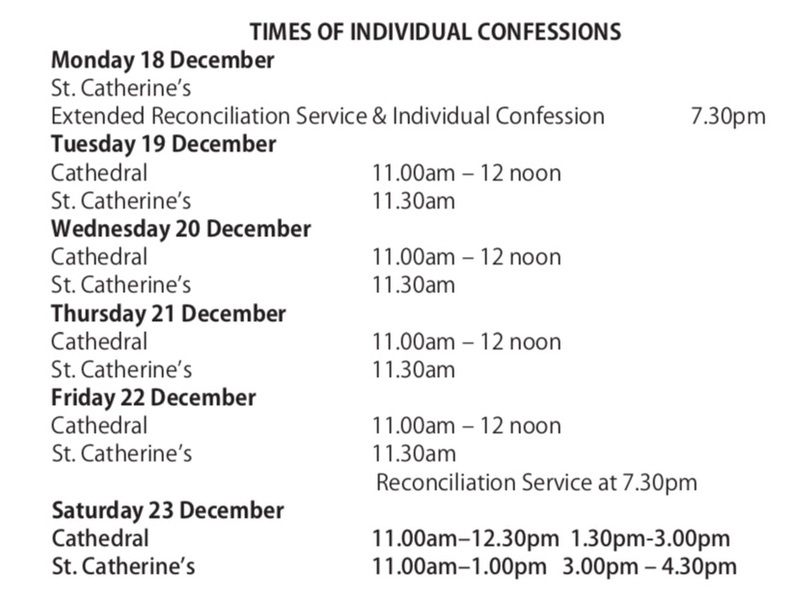 PLEASE NOTE: NO 5.30PM MASS IN THE CATHEDRAL ON CHRISTMAS EVE OR CHRISTMAS DAY. From Tuesday 26th December to Tuesday 2nd January, Mass in the Cathedral will be at 10.30am only, with the exception of the Vigil Masses and the Sunday Masses in all Churches. 8.30am & Evening Masses will resume on Tuesday 2nd January.